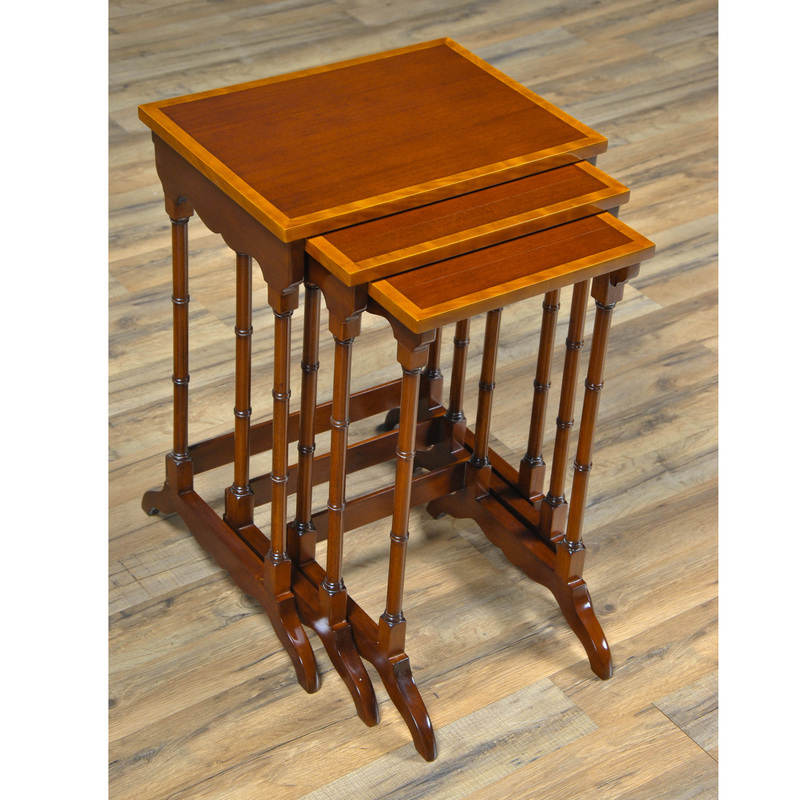 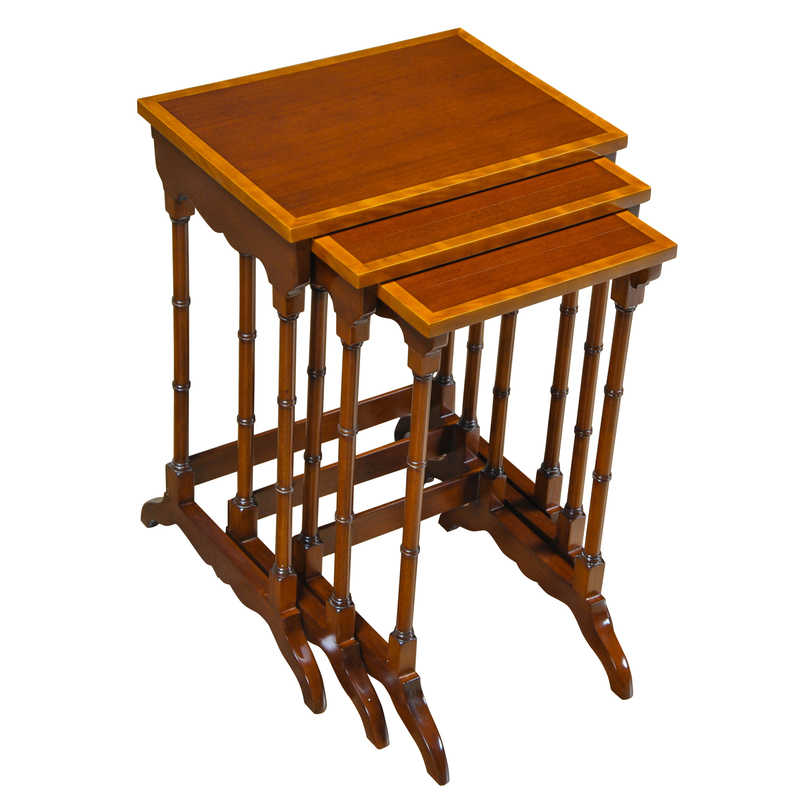 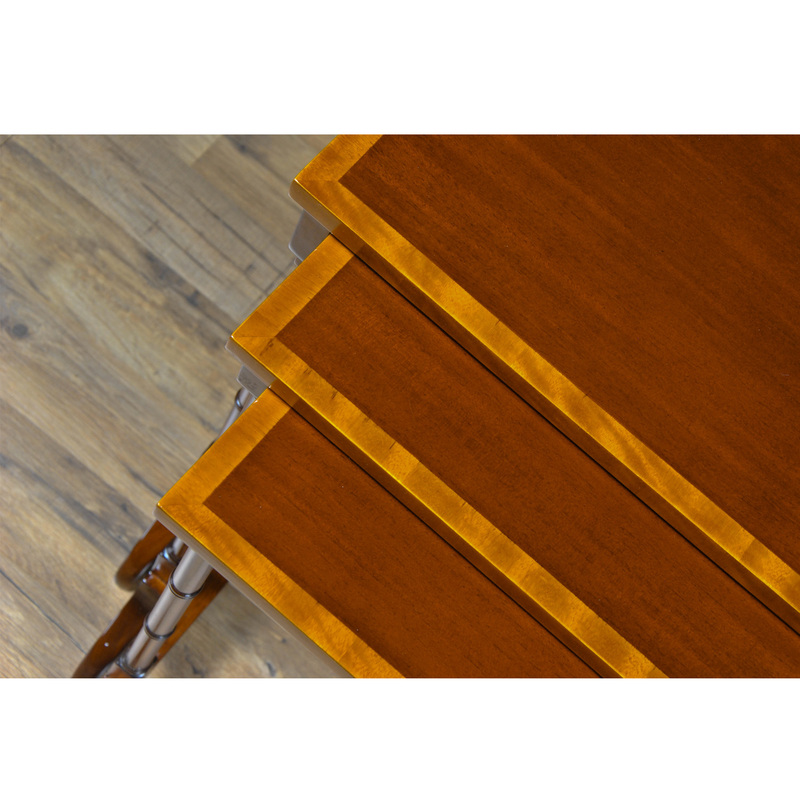 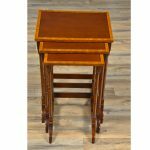 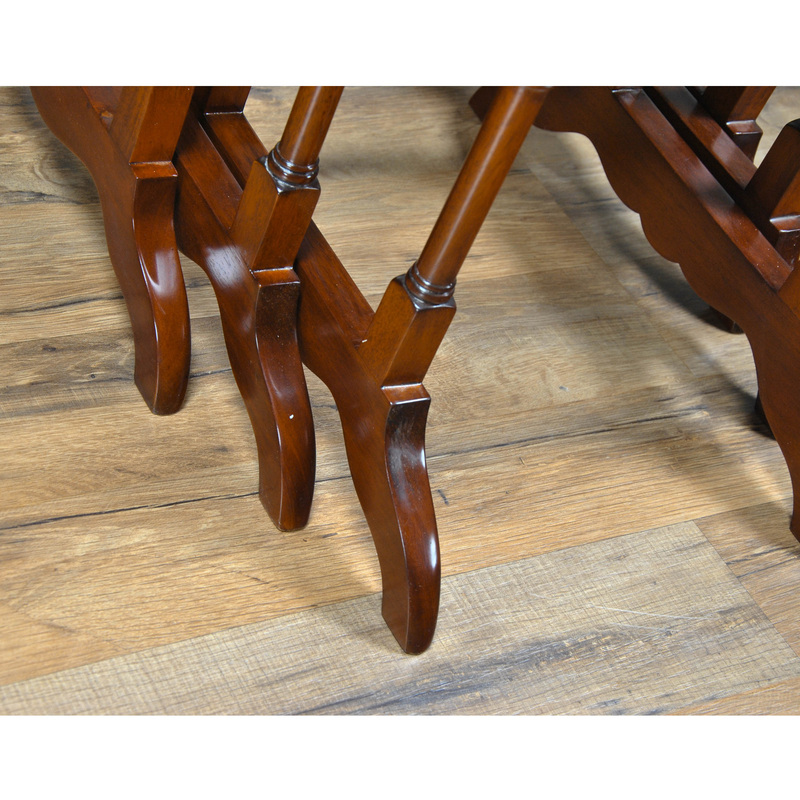 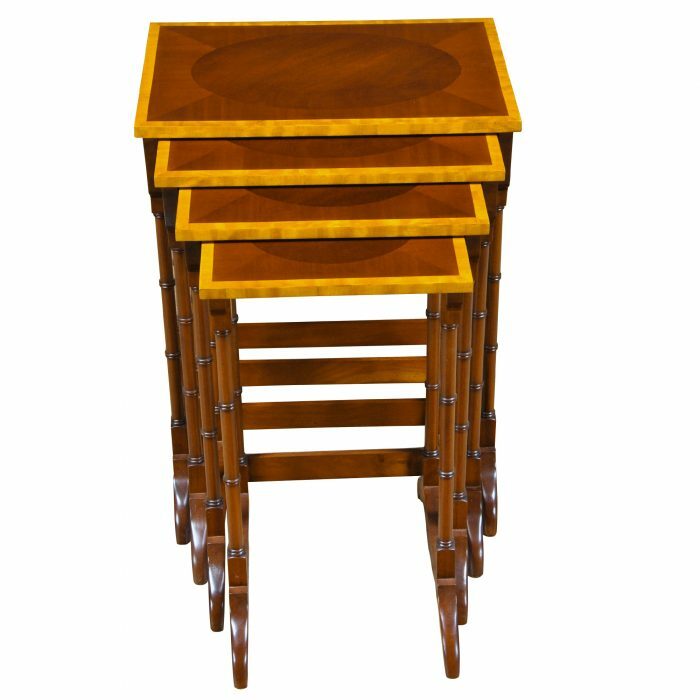 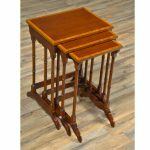 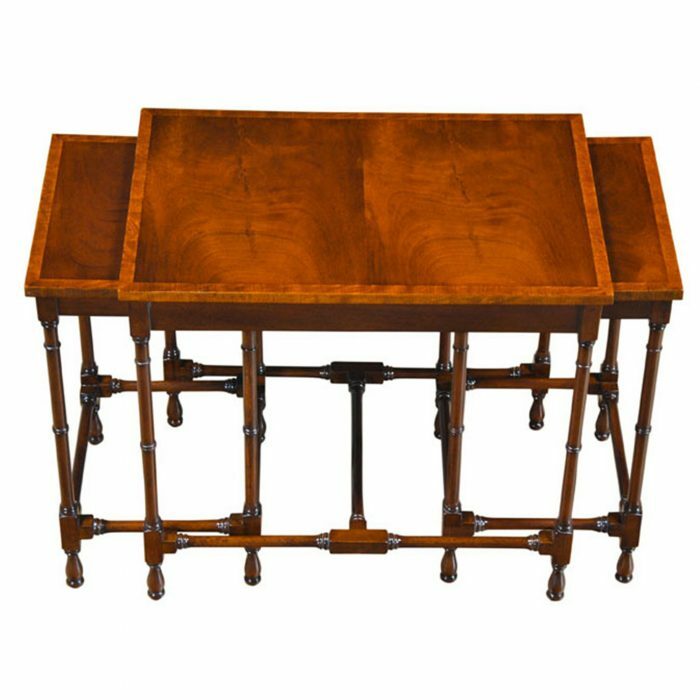 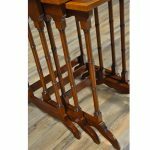 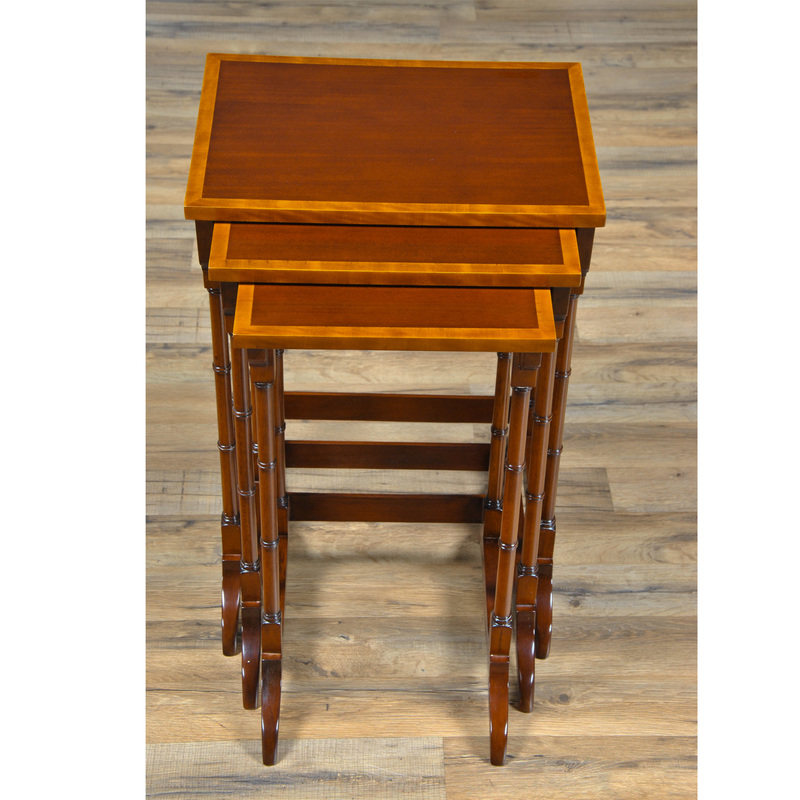 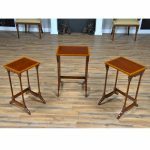 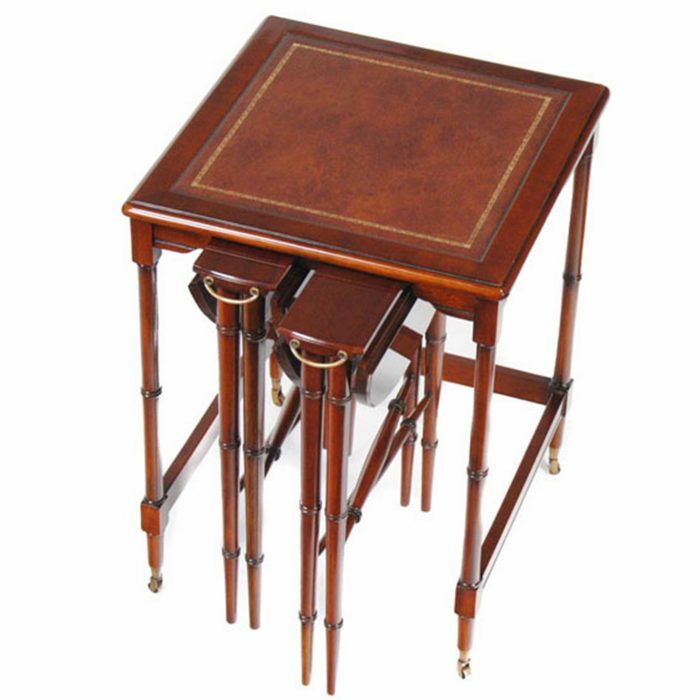 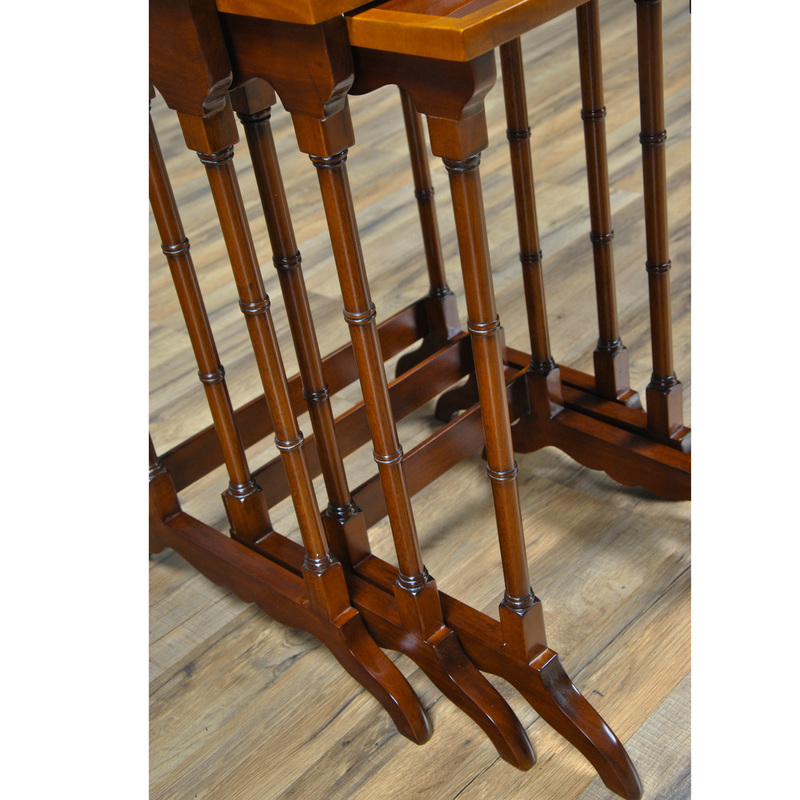 A handsome Set of Three Nesting Tables this version from Niagara Furniture features lovely banded tops using the finest mahogany and satinwood. 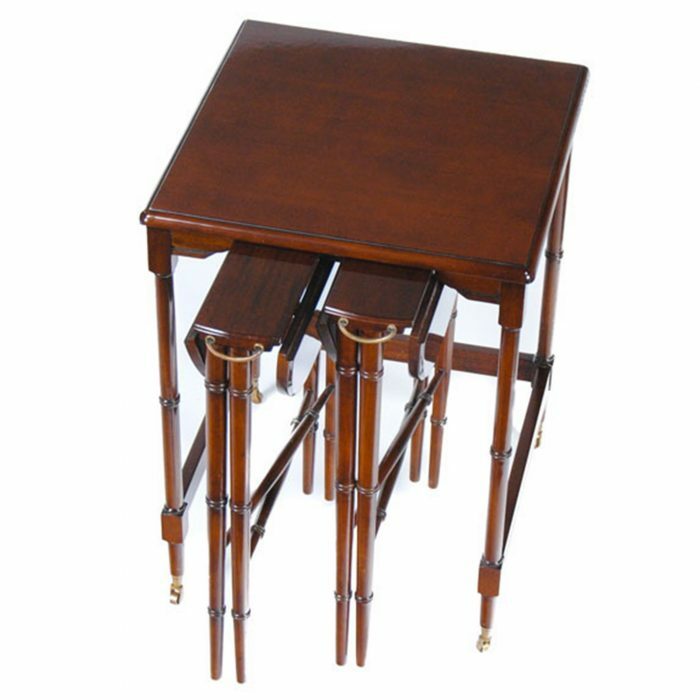 Supported on faux bamboo legs that are actually turned from solid mahogany the tables have stretchers added in the rear of the legs for extra support. 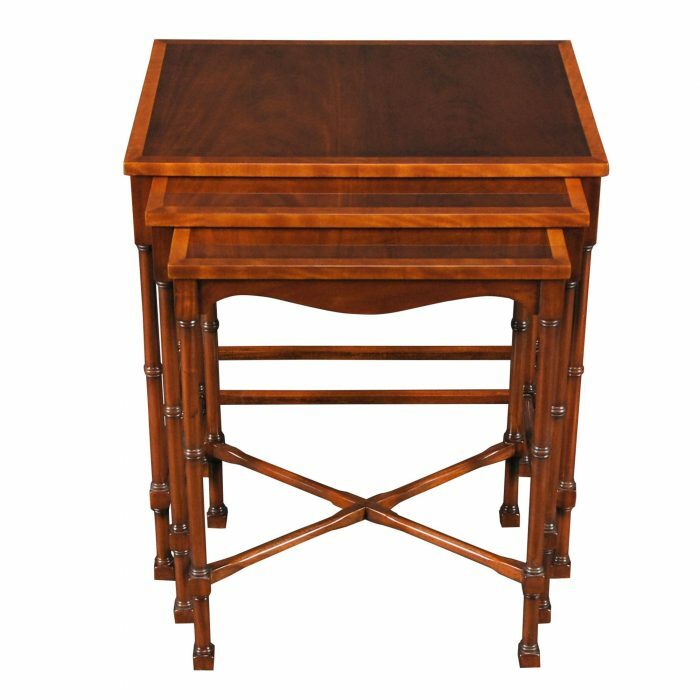 Our set of Three Nesting Tables are both decorative and sturdy. 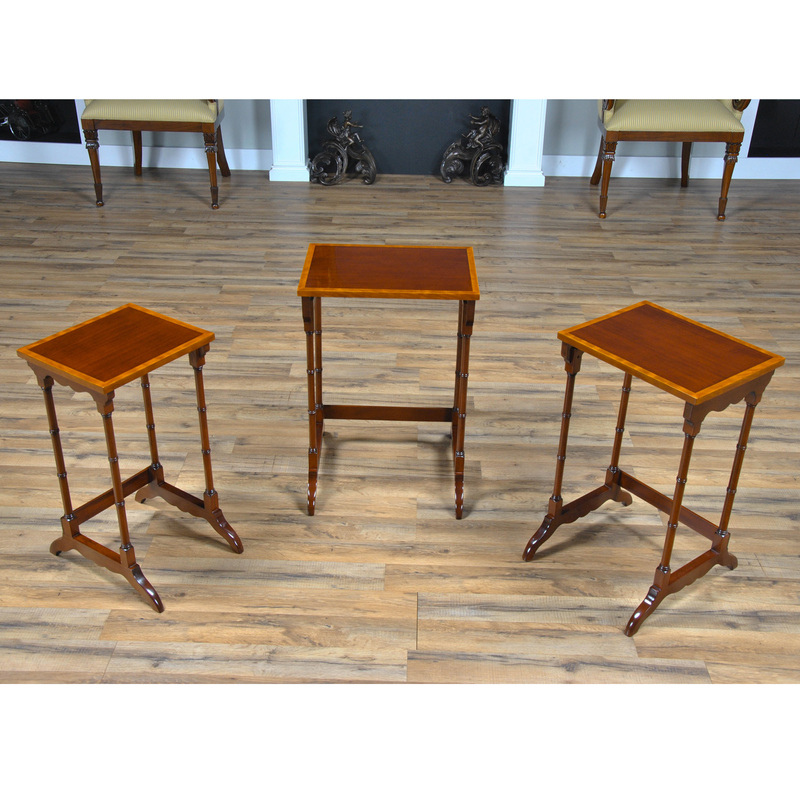 Frequently sold in pairs for opposite ends of the sofa. 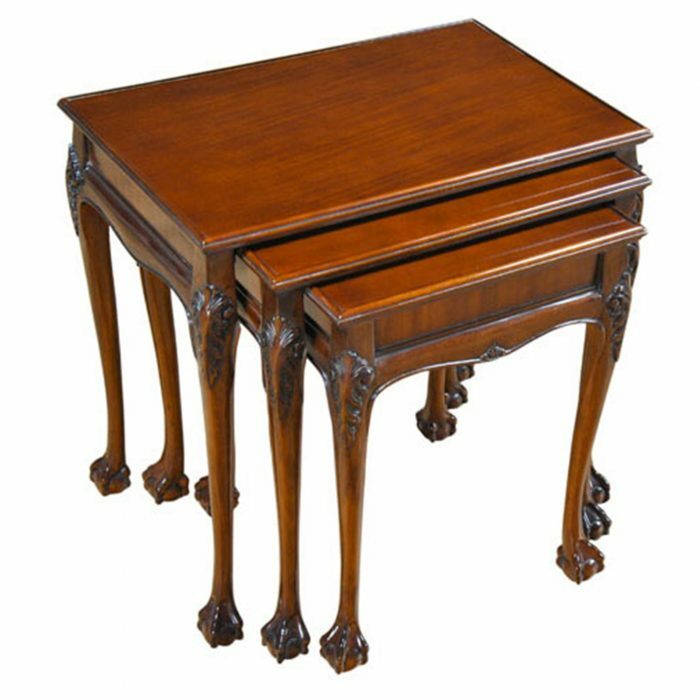 The smaller tables nest away when not in use.